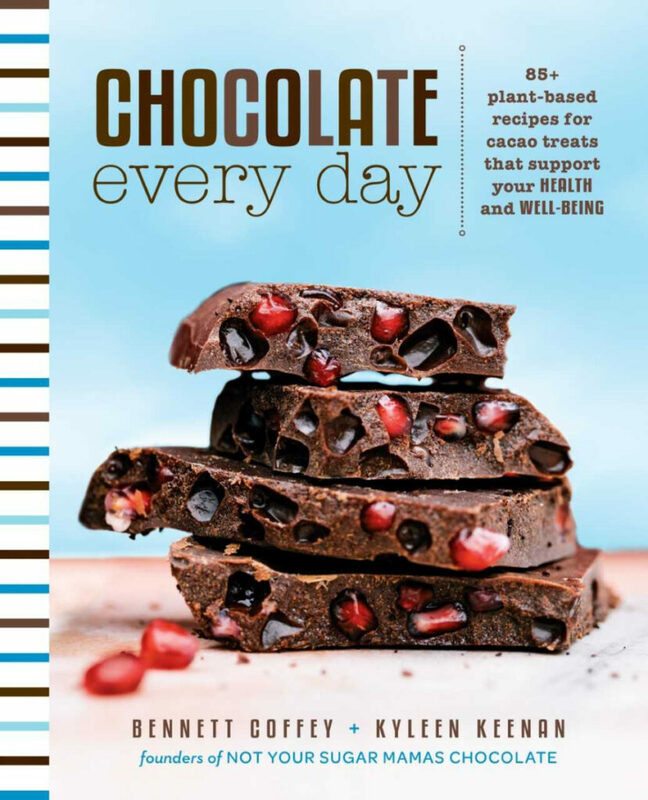 If you’re a chocolate lover and a health food fan, then you need a copy of “Chocolate Every Day” by Bennett Coffey and Kyleen Keenan ($27, Avery, an imprint of Penguin Random House). Coffey and Keenan own Not Your Sugar Mamas, a vegan, gluten-free cafe on Martha’s Vineyard. The 85-plus recipes rely on antioxidant-packed raw cacao (rather than processed cocoa) and unrefined sweeteners to create desserts such as chocolate-glazed doughnut holes, almond butter cups, no-bake thin mints, chocolate beet lava cakes and whoopie pies. Make the eggs: Combine the chia seeds with 5 tablespoons water. Let sit 5 minutes before using. 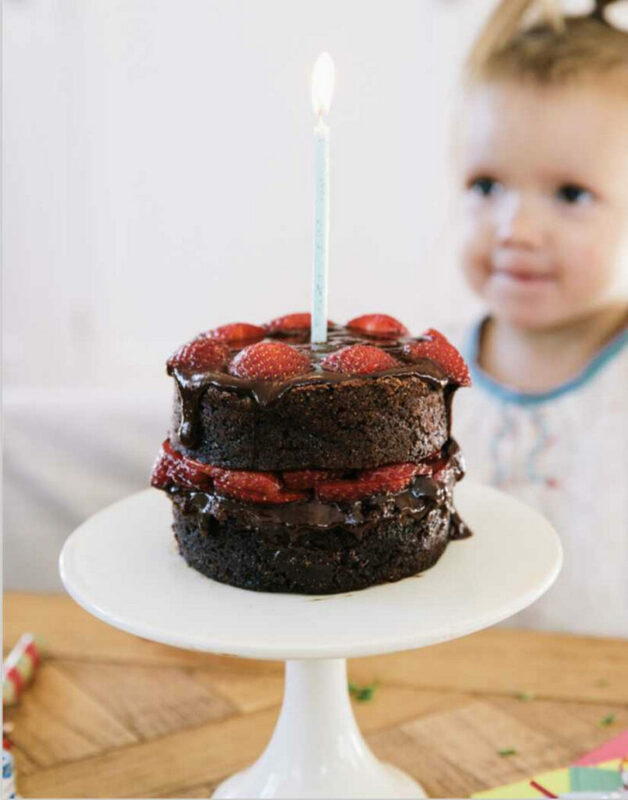 Make the cake: Position a rack in the center of the oven and preheat the oven to 350 degrees F. Grease two (5-inch) round cake pans with oil and line the bottoms with parchment paper. Set aside. In a large bowl, whisk together the almond flour, cacao powder, flaxseed, baking soda and salt. In a medium bowl, whisk the chia eggs, maple syrup and vanilla together with 1/3 cup water until smooth and fully incorporated. Pour the wet ingredients into the dry and stir well. The batter will be thick. Divide the batter between the two prepared pans, filling them each halfway, and bake for 25 minutes, or until a toothpick comes out clean. The cakes will look dry on top, but don’t worry – they’re not overbaked. Let the cakes cool in the pans, about 40 minutes, then run a small paring knife around the edges of the pan and turn them out onto a rack, removing the parchment paper, to cool completely. Make the frosting: In a small saucepan over low heat, cook the cacao butter and coconut oil until melted, stirring occasionally, then remove from the heat. Whisk in the cacao powder, maple syrup and vanilla, if using, until smooth and fully combined. Add the almond butter and continue to whisk until the mixture becomes thick, like a ganache. Allow the frosting to cool to room temperature before using, about 30 minutes. Whisk again vigorously before using. Frost the top of each cake and stack. Decorate with sliced fruit, shredded coconut, or edible flowers, if desired.